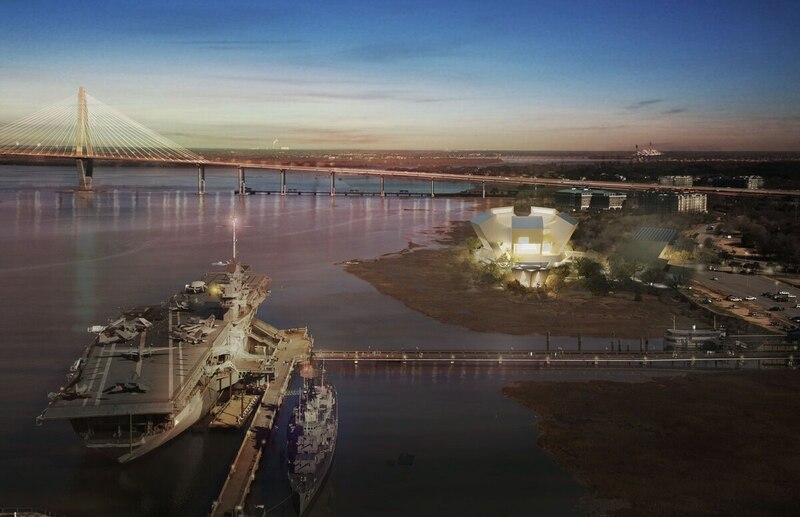 Visitors heading to Charleston in the coming weeks or months will find plenty of military history within reach, from pre-Revolutionary War sites to a decommissioned World War II aircraft carrier. But those heading to the South Carolina city in the years ahead may have one more stop to make: The planned National Medal of Honor Museum, which is in the early stages of a nine-figure fundraising effort. A museum honoring the medal's recipients already exists aboard the Yorktown, the flattop-turned-museum at Patriots Point. But the new museum's plans call for more than 107,000 square feet of space, including multiple exhibit halls, a "Hall of Valor" honoring the medal's recipients, a cathedral and a "grass-topped land pavilion" that will serve as the museum's entrance. The 2015 unveiling of these plans came with a $98 million expected price tag. Updated details on the museum's website peg that figure at $110 million. CEO Mark Updegrove wouldn't put a number on the donations already received nor any concrete timetable for breaking ground, but said the state has pledged $5 million toward the museum. There's a good reason Charleston is constantly ranked not just one of the best cities in the country, but in the world. Watch this quick video for travel inspiration. The fundraising hasn’t reached the point of sponsored bricks or names on a donor wall just yet, Updegrove said, with focus on securing big-ticket contributors. And while the design likely won’t change much, he said, plans for interior exhibits might. "Technology evolves so rapidly, for me to look at [other museum] exhibits now as opposed to 2½ years might be an exercise in futility," he said. "We want to appeal to all ages, but in order to attract young people, you have to have state-of-the-art technology." Regardless of how the stories are told, Updegrove's group aims to pass along the legacies of the men (and one woman) who have worn and continue to wear the nation's highest award for valor. "We are going to want to tell these stories in the most engaging way possible," he said.